Technology is making life easier, are you tried of standing under the sun in along clue waiting for your turn to Subscribe for your GOTV. Here, this few tips is for you. Now you can recharge your GOTV decoder at your comfort. Switch your decoder on if your account has already been disconnected. Log on to www.quickteller.com/gotv and elect the GOtv bouquet of your choice (GOtv or GOtvplus). Enter your e-mail address, IUC number, and enter your mobile phone number. Enter the GOtv subscriber’s name and confirm that your IUC number was filled correctly. Click PAY and click on your debit card type i.e. Interswitch, Verve or MasterCard. Enter your card details i.e. Card Number and Expiry Date as inscribed on your debit card, and then enter your 4 digit PIN. 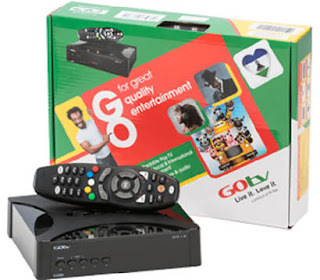 Click PAY once, the transaction has been completed and your GOtv account is credited, your viewing will be restored. E-tranzact is a platform that allows you to make online payment directly from your bank account at your comfort. For you to Recharge your GOTV decoder using E-tranzact follow the steps below. *389*9*smartcardnumber# then follow the prompts. Select Country, input specific Smart card number and click on VERIFY button. Click VIEW BALANCE AND PAY to proceed to the payment summary page showing date and amount due for payment. Click PAY to proceed to the Payment Subscription page showing Account Holder’s details. Select eTranzact Payment Option and select BankIT. Input Bank account number and select preferred Bank. 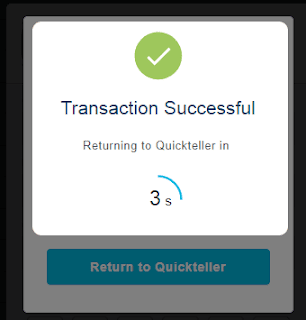 Input the OTP in the space provided and click PAY. Then you will receive a response telling you that your payment is successful. In conclusion, the above listed payment method is save and secured. You can't lose your money nor be scammed. But to show maximum security, please don't share your password with us.